London Stansted has developed a suite of information fact sheets to help explain to the local community the complex factors that can make up aircraft track-keeping and impact the levels of aircraft noise. They cover the following topics - click on the links below each section to access the relevant factsheet. All jet aircraft and most propeller-driven aircraft departing from London Stansted Airport follow initial flight paths, known as Noise Preferential Routes (NPRs). The NPRs at London Stansted were set by the Department for Transport in 1989. The routes were designed so that aircraft avoided flying over the larger populated areas until they had reached a minimum height. 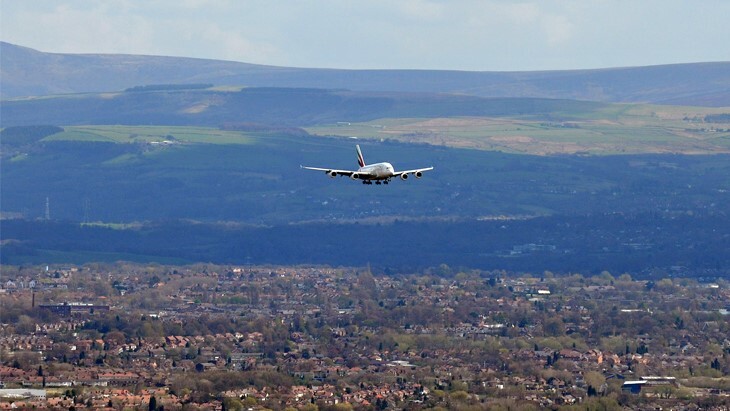 Unlike departing aircraft there are no fixed flight paths for arriving aircraft until they are established on the Instrument Landing System (ILS), also known as the final approach. There are also no fixed noise limits or heights. Since 1962, in response to increasing community concern about noise, the UK Government has tightened the rules on night flights. However, the Government allows night flights because it sees them as being important for the well-being of the airline and travel industries as well as important for the UK economy as a whole. The go around procedure is adopted when an arriving aircraft on final approach aborts landing by applying take off power and climbing away from the airport. It is a set procedure to be followed by the flight crew in the event of an aircraft being unable to land. A stack is fixed circling pattern in which aircraft fly whilst they wait to land. When airports are busy, there can be a build up of aircraft waiting to land. The primary use of an aircraft stack is to delay an arriving aircraft due to aircraft congestion, sometimes due to poor weather conditions (e.g. snow clearing) or runway unavailability. Stansted is the second largest London airport transporting cargo into and out of the UK, with a growing number of industry leaders operating from the airport. The movement of freight is vital to supporting economic growth with more than 200,000 tonnes of cargo being transported through Stansted each year. Helicopter operations at London Stansted are a daily occurrence and, as with fixed wing aircraft operations, they conform to many operating restrictions, industry codes of best practice and legislation relating to their safe operation. The airport does not have access to any helicopter flight track data, but if you have been disturbed by a helicopter movement that you feel is related to London Stansted, we will be able to confirm if this is the case and, if so, we'll log and record your complaint details accordingly. There are four main tiers of regulation which govern aircraft noise in the UK: International, European, National and local.